David Lay auctions in Penzance, Cornwall, is all about pilots, not pirates, this month as photograph albums which once belonged to a French WWI pilot named Maillan will be coming up for sale. The two remarkable photograph albums, show famous pilots and incidents which occurred during WWI. Most of the photographs are annotated in ink and some are signed. A name and address on the inner cover reads: Maillan, 35 Rue Jacquard. 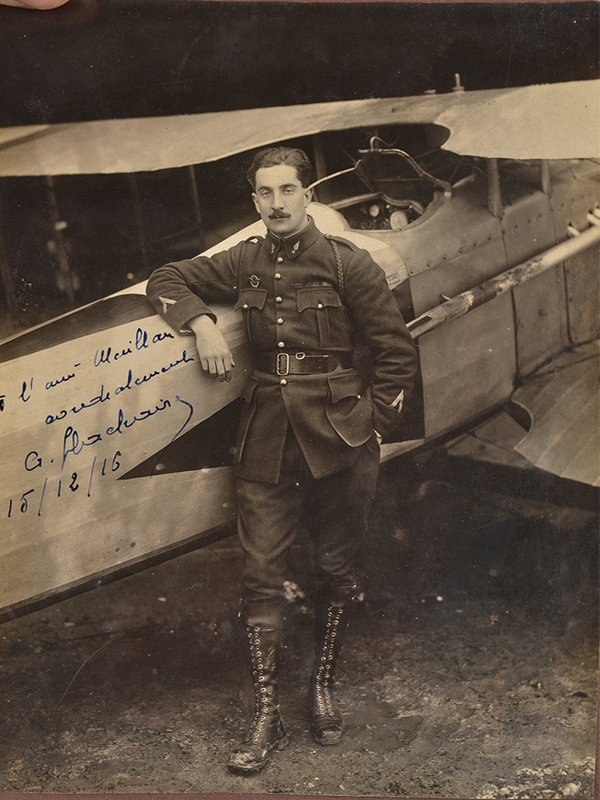 Maillan, appears in several of the photographs which are thought to have been taken between 1914 to 1917 in France at Escadrilles (squadrons) N3, N12, N49, N81, N67. The most famous of these being N3 'The Storks' who were one of the most decorated aviation units of WWI. As well as the pilots, the photographs features aeroplanes, mostly SPADs and Nieuports but there are also images of captured German Albatrosses. Other interesting photographs of note include medal investures, (Legion d'honneur, N81) various plane wreckages and some official arial photographs annotated with their escadrille, pilots and observers names. The most famous French WWI flying aces which feature in the albums include: Yves Barbaza, Marcel Hugues, Georges Flachaire and Marcel Viallet who all were recipients of the Légion d'honneur, the Médaille militaire and the Croix de Guerre, two of these pilots also received the British Military Cross. The sale will take place 16th-17th June, 2016.